Do you want to pass class but it’s hard to pay attention? But sometimes, class is so boring but you know you need to pay attention in class so you don’t miss any important information. What can you do? Stare out the window or doodle on your notebook? 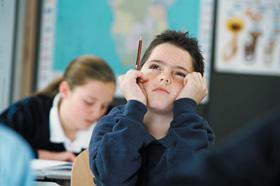 Here are some easy tips for you to pay attention (and avoid distractions) in class! Yes, sleep is very important if you want to pay attention and focus in class. If you say up too late, it will be hard for you to focus during the day. If you are under 12 years old, you should sleep about 10 hours a day. If you are older than 12, you should sleep about 8 or 9 hours of sleep. But everyone is different. This means that some people might need more sleep and some people might need less sleep. Remember that oversleeping can cause to you be tired during the day too! Your sitting posture is also very important for class. Avoid slouching while sitting or putting your head down. If you sit like that, you will have a hard time staying away and focused. So, sit up! Also, it would be good if you most around a little. When you shift your sitting position from time to time, it can help you with your blood circulation and send more oxygen to your brain. It is always important to pay attention in class. How do you stay focused in class?